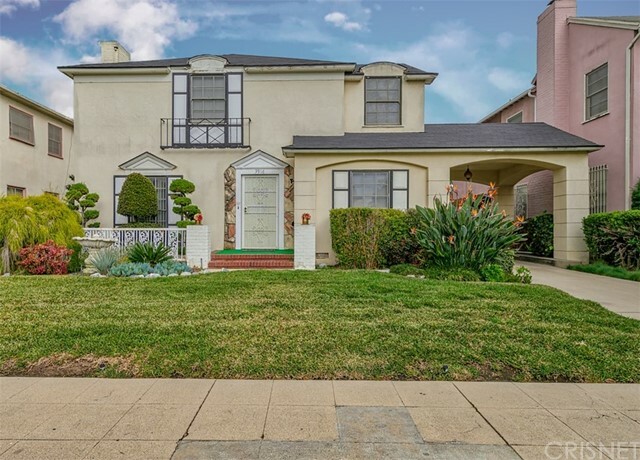 I would like more information about 4231 Edgehill Dr, Los Angeles, CA 90008 MLS #19452022. Step into the courtyard and into the tile floored foyer to the step down living room featuring beamed ceilings, arched window, wood floors, and a handsome fireplace to welcome you! There's a light-filled dining room, updated kitchen, plus a charming breakfast room (or office). The first floor offers a bedroom with LOTS of closet space, & a beautiful ensuite 3/4 bath. The utility/laundry room opens to a wooden deck area and a the fenced back yard designed for entertaining and /or play with synthetic grass! There's a patio with pergola as well as a dining barbeque area. The garage opens front AND back! ( from driveway to alley) Up the tile stair with its wrought iron railing, are 2 bedrooms, one with front facing Juliet balcony & a second spacious carpeted bedroom with walk-in closet. A full bath has a granite topped vanity. All this capped off by the upstairs covered patio-- perfect to relax with a glass of wine to enjoy the view over the canopy of trees on this lovely street! 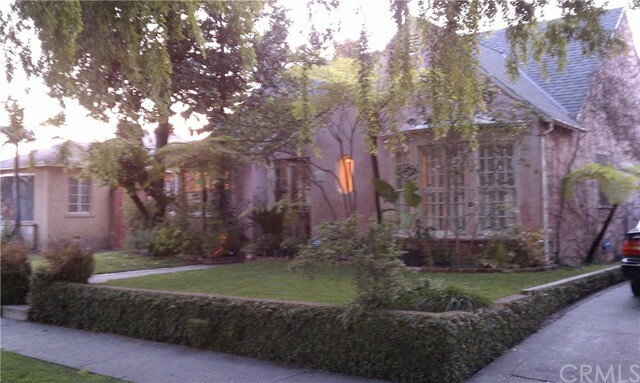 The property on 4231 Edgehill Dr, Los Angeles, CA 90008 is listed for $922,000 as MLS #19452022. 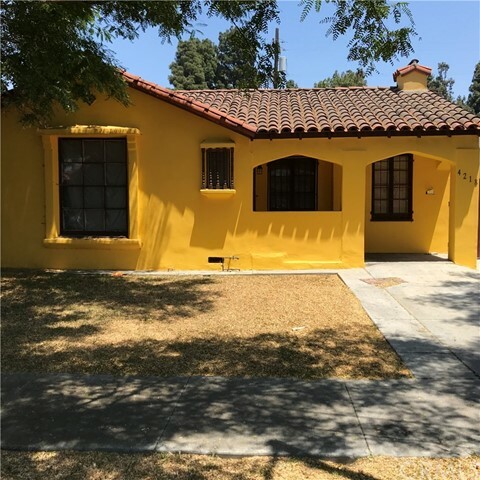 This 3 bedroom, 2 bathroom 2,115 sqft Single Family Residence built in 1929 located in Los Angeles, CA 90008. For more information regarding this or any other property in Los Angeles, please contact us at (424) 272-1339.